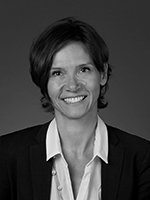 Christina Voigt is Professor at the Department of Public and International Law, Universitetet i Oslo, Norway. She is an expert in international environmental law and works in particular on legal issues of climate change, environmental multilateralism, sustainability, and international courts and environmental protection. She is a member of the International Union for Conservation of Nature (IUCN) World Commission on Environmental Law and the chair of the Commission´s Climate Change Specialist Group. In 2009, she was awarded the first IUCN Academy of Environmental Law Junior Scholarship Prize. She is the author of Sustainable Development as a Principle of International Law (2008), numerous academic articles and several edited volumes. Since 2011, she has been legal advisor to the Norwegian Ministry of Climate and Environment and negotiator in the United Nations climate negotiations.